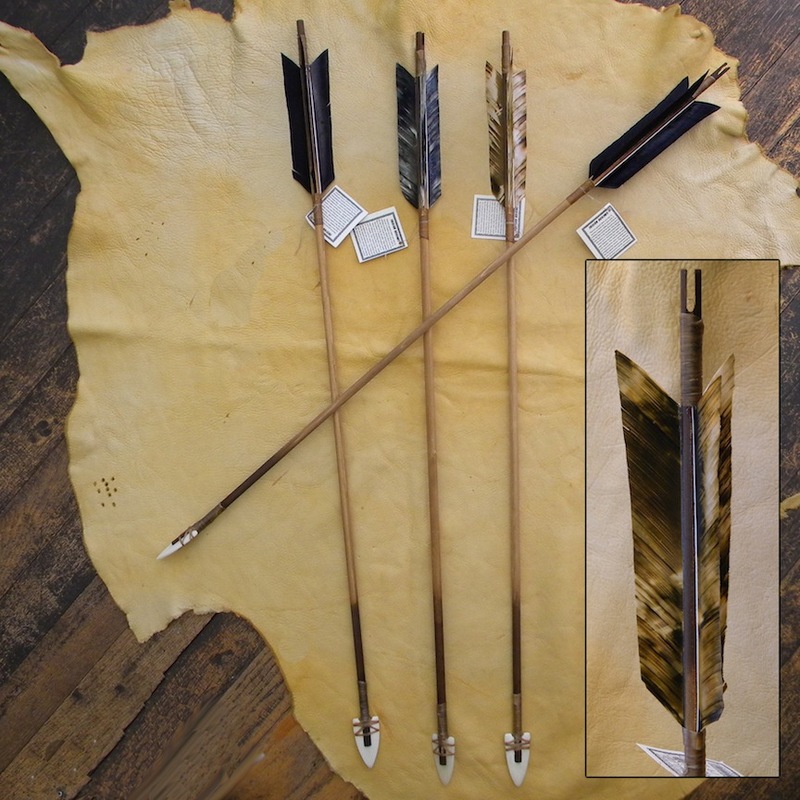 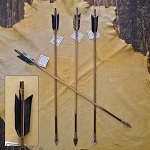 This arrow has an carved buffalo bone point and feathers are fletched around 3 different areas. 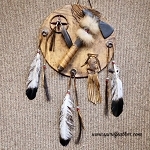 Comes with authenticity tag, artist name and tribal number. 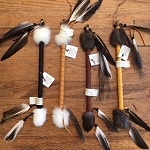 If you need a dz or more it can be arranged by drop shipment.